Israel welcomed Saturday a U.S. decision to end funding for the U.N. Palestinian refugee agency (UNRWA), accusing the organisation which supports some five million Palestinians of perpetuating the Middle East conflict. Israel and the United States have accused the nearly 70-year-old agency of maintaining the idea that many Palestinians are refugees with a right to return to the homes from which they fled or were expelled during the 1948 war that accompanied Israel's creation, an idea they both oppose. On Friday, Washington, which until last year was by far the agency's biggest contributor announced it was ending funding to the "irredeemably flawed operation." "Israel supports the U.S. move," an official in Prime Minister Benjamin Netanyahu's office said on condition of anonymity. "Consolidating the refugee status of Palestinians is one of the problems that perpetuates the conflict." Palestinian ambassador Hossam Zomlot accused the United States of "reneging on its international commitment and responsibility" towards a body that was set by U.N. General Assembly resolution in 1949. "By endorsing the most extreme Israeli narrative on all issues including the rights of more than five million Palestinian refugees, the U.S. administration has lost its status as peacemaker and is damaging not only an already volatile situation but the prospects for future peace," he said. U.N. Secretary General Antonio Guterres said the agency had his "full confidence" and called on "other countries to help fill the remaining financial gap, so that UNRWA can continue to provide this vital assistance." UNRWA spokesman Chris Gunness tweeted: "We reject in the strongest possible terms the criticism that UNRWA's schools, health centres and emergency assistance programmes are 'irredeemably flawed.'" Washington, which had already frozen $300 million in funding this year throwing the agency into financial crisis, said it would seek ways to prevent its decision from hurting "innocent Palestinians". 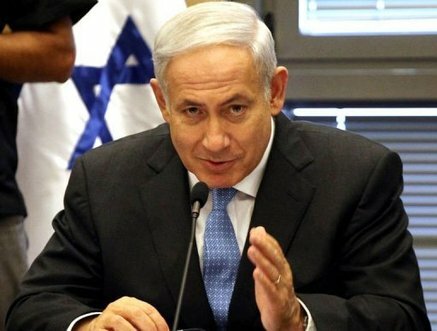 "It would be good to allocate the funds to other elements that would use the money properly for the benefit of the population, and not for perpetuating the notion that they are refugees," the official in Netanyahu's office said.